Key West homes are located in the coastal community of Aliso Viejo. The Key West neighborhood was first built in 1994 and features three to five bedroom homes that range in size from 1,391 to 2,000 square feet of living space. This is a great community that offers great mountain views for select properties in this neighborhood. Many of the homes feature kitchens with center island, large pool size backyards and attached garages. Select floor plans will offer front porch areas. Homeowners association dues are kept very low since there is no community pool or clubhouse. Monthly dues cover common area ground maintenance. 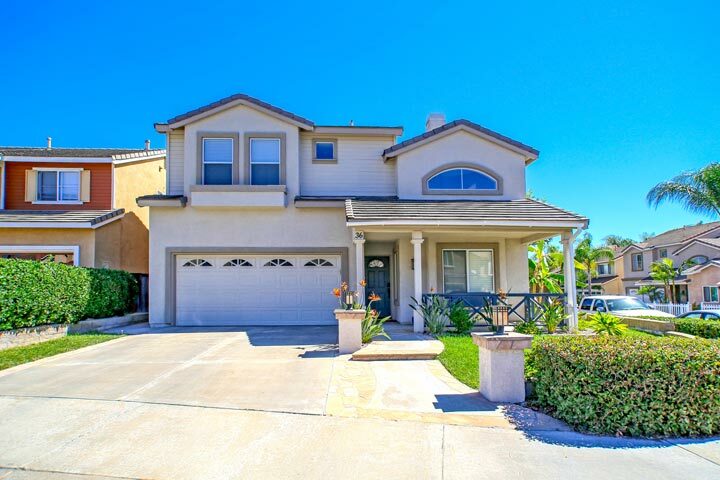 Below are the current Key West homes for sale and for lease in Aliso Viejo. Please contact us at 888-990-7111 with questions regarding this community and any of the properties listed for sale here.